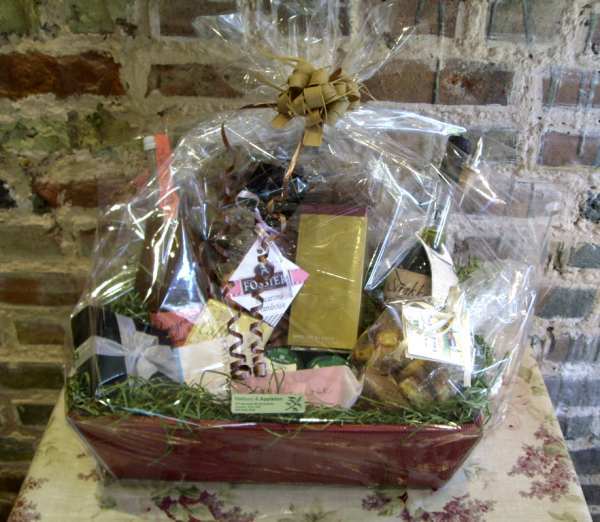 Our smallest gift basket - this price includes, shredded paper, cellophane wrap and ribbon. Suitable for up to 6 or 7 small items. Not suitable for large bottles. We also have medium and large baskets available. Simply select a basket then browse our website to choose what you would like to have included in your basket and we will put it all together for you. Sending as a gift? Then just provide the name of the lucky person and their address as the delivery address for your order then enter your own billing address and name. No prices will be included in the parcel. N.B. This is the price for the empty basket but is not for sale without a minimum of £10 of contents. Please browse our shop and select items to put into your gift basket.